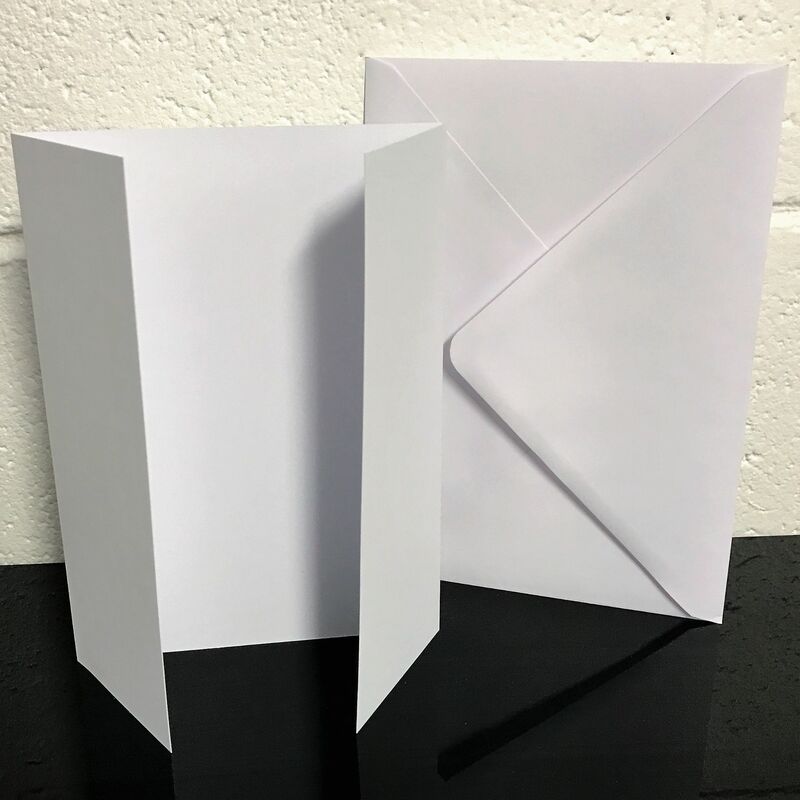 Home > Card Blanks & Envelopes > GateFold Card Blanks & Envelopes. 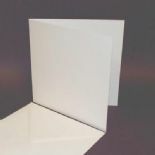 25 x A5 White gatefold card blanks with 25 x C5 white envelopes. The GateFold design has one left and one right panel which are roughly half the width of the center panel and fold inward to meet in the middle without overlapping. 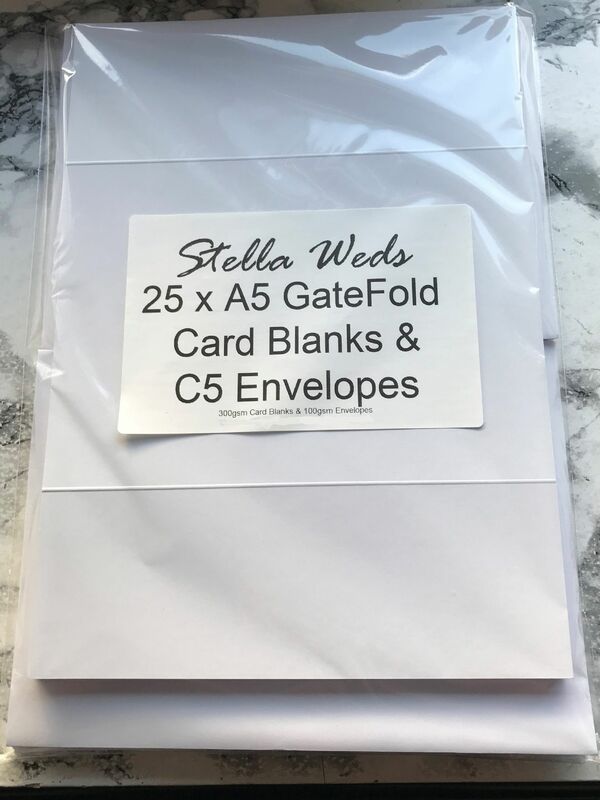 If you're interested in ordering a large trade quantity of this item (25 x A5 White GateFold Card Blanks & Envelopes - Stella Weds) then email us and we will send you a quote. Please note that this is not possible on some items. Please include the quantity and item(s) in your email. All quotes are sent via email. You can use the "contact us" form on this website for quotes.